If you were a bookish kid like I was you probably know who Scheherazade is, if you don't you probably won't follow the story enough to really enjoy the coolness of it. So look her up if you don't and give this one a whirl. In this delightfully dark retelling of One Thousand and One Nights, suitably titled the very same, our heroine is not the clever girl of the original but rather a victim of a new world filled with monsters. Many times bitten and scarred by zombies but unturned she remains a liability to the compound's "king", Aleksy. He knows it undermines his own authority not to have killed her, yet her lack of turning poses a dilemma only heightened by his attraction to her. Because wanting to get in a possible zombie's pants is pretty messed up. Every night Sheri reads to Aleksy from where she is chained to his bedroom wall. Her only real concern is keeping her younger sister protected within the compound. If that means being treated like an animal she is willing. As you can imagine, Sheri and Aleksy have their own sad back stories, and it's only a matter of time before they give in to their desire for one another. I may be the only reader who thought this was awesome. I saw a few early reviews and I think the biggest problem other had was not finding it relatable, which may be a big deal with romance readers who want to put themselves in the place of the heroine. I do agree, if that's your preference Sheri is not a relatable character and Aleksy is kind of difficult to like. 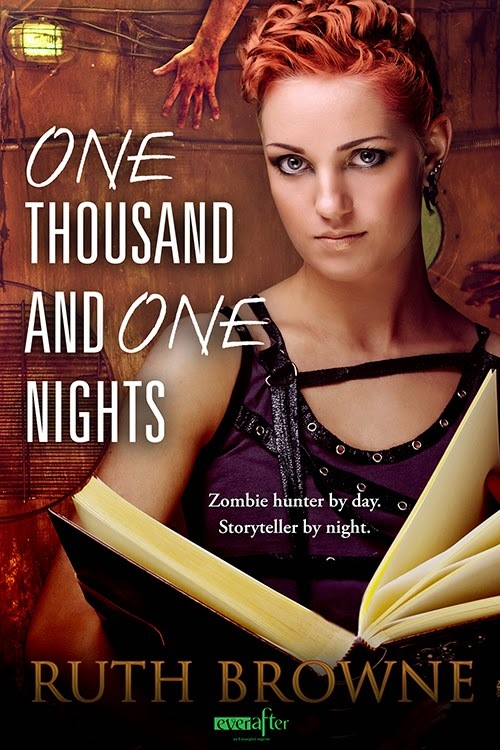 If you like zombie stories more than romance this is a really different and enjoyable take on one of my favorite "fairy tales". I recommend this one for the geeks who obsess over The Walking Dead and Once Upon a Time on Sunday nights. This is definitely a darker romance than I think many readers are used to and if you enjoy dabbling into something less-then-sweet from time to time it's a twisted and imagination-bending tweak on a lesser-known tale of a woman's wisdom. I loved it!